This is the the start of a new free eBook, by Maxwell Grantly. You can find all Maxwell’s stories, free to download, on iTunes, Kobo, Lulu, Barnes & Noble and Smashwords. Professor Nibbler’s Most Amazing Mouse Circus will be available to download, free of charge, later this month. 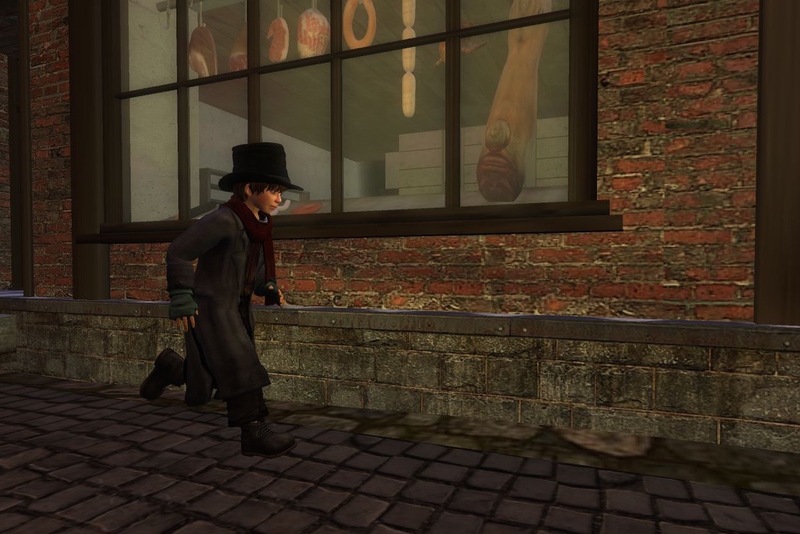 Find out how Gobbler managed to eavesdrop on the most important scientific discovery in the history of New Babbage and what he found out. This delightfully illustrated eBook for children is free to download from iTunes, Kobo and Smashwords. Next year (2017) will be the 150th anniversary of the Second Treaty of London. For people living outside Luxembourg, this date will have very little significance. However, for those who live and work in Luxembourg, the year 2017 will be an important opportunity to celebrate the reaffirmation of the neutrality of their city and a chance to remember the starting of a new chapter of this important European location. The Second Treaty of London was an international treaty signed on 11 May 1867. It was agreed in the aftermath of the Austro-Prussian War and the Luxembourg Crisis and it had wide-reaching consequences for Luxembourg and for the relations between Europe’s Great Powers. 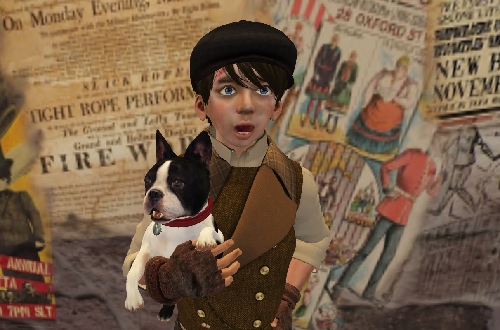 As part of the many celebrations planned for 2017, I am currently working with a team from across the whole of Europe; helping in the production of a transmedia comic strip set in a computer generated reconstruction of the 1867 city. The story revolves around a young Luxembourgish boy named Steft and it explains how his vivid imagination caused him to cross the paths of many different characters in and around his home city of Luxembourg. If all goes to plan, the comic strip will be released some time next year and it is hoped that it may be a unique way of retelling the stories of the inhabitants of this important European City. Surveys show that many adults prefer to access their reading material in a paper format. Children, however, are more open to using digital devices. The use of eBooks is on the rise in schools, by children as young as three, and digital devices are making a large difference to the reading habits of boys in particular. The School Library Journal has reported that tablets or laptops are currently used in about two-thirds of schools across America, however their use is rather more sporadic in British schools. Over the past year, the National Literacy Trust has been conducting research into the impact of digital reading devices upon the literacy development of a sample of 800 children from 40 schools. Interestingly, in a period of just four months, boys made (on average) a progress of 8.4 months, compared to an average of 7.2 months among girls. Researchers are now beginning new studies to try and discover why boys respond so well to digital media. There is still a place for a wide range of different reading formats in both schools and the home but it is encouraging that, despite the reservations of adults towards the introduction of eBooks, many children flourish with the acquisition of sound literacy skills, using digital formats. If your child is interested in using a tablet or laptop to access reading material, you may like to know that Maxwell Grantly has produced an exciting range of original reading material, all of which can be downloaded from Kobo and iTunes completely free of charge. Those of us who live in the northern hemisphere have put our clocks back and we are now looking forward to six months of winter. That means that many of us will be curling up by the fire, with a warm cup of cocoa in one hand and a good book in the other. If you want a reading suggestion for your children (at no cost) you could browse through the large selection of free eBooks on iTunes and Kobo by Maxwell Grantly. We all know that light travels incredibly quickly in a vacuum. When it passes through other media, such as water or glass, it slows down very slightly. So, just imagine what life would be like if light travelled substantially slower in glass! How would such a world look? Professor Higgins discovered that, if you added a special crystalline compound to the manufacture of glass, you could create a new transparent substance that had the property of slowing light by a total of three hours. Just imagine looking through a window that was made of this new invention: it would be like looking three hours into the past! A local street urchin named Gobbler accidentally stumbled into a lecture given by Professor Higgins and learnt the secret behind this new amazing substance. His life would never be the same from that moment on. Find out how Gobbler’s life changed for the worse when he found himself being framed for a theft that he did not commit and discover whether he managed to clear his name. As is common with many stories by Maxwell, everything is not what it might at first seem to be!